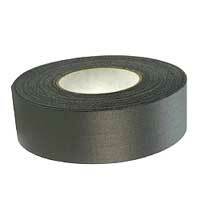 Premium cloth tape. Engineered for use in the most demanding applications, such as securing and holding lights, stage and set decoration, spiking, and color-coding. Water resistant, high temperature and weather resistant. Removes cleanly from most surfaces. Electric Blue, Green, Purple, Red, Yellow, Grey, Brown.